The newest addition to Bottega Veneta’s men’s boots is inspired by a 1970s style. 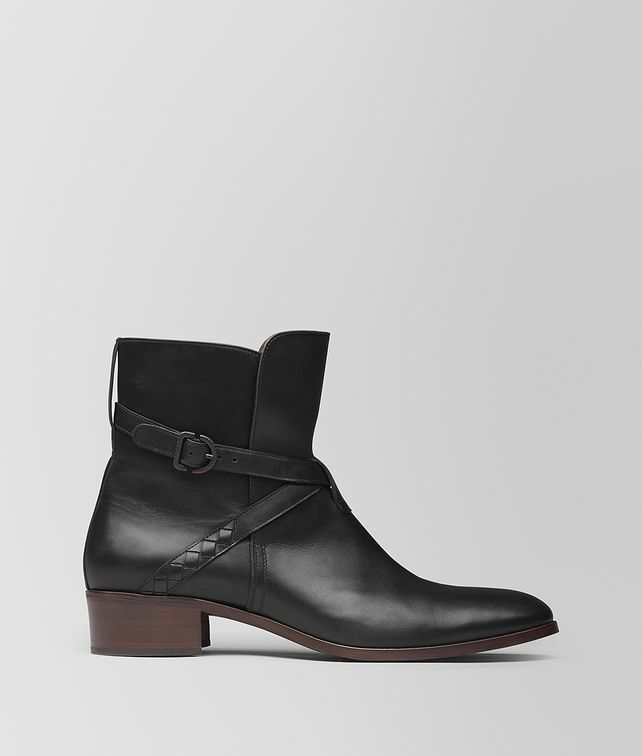 With a 4-cm heel, the boot features a slim strap with intrecciato detailing that wraps around the ankle. Finished with a brunito buckle. Heel height: 4 cm | 1.5"